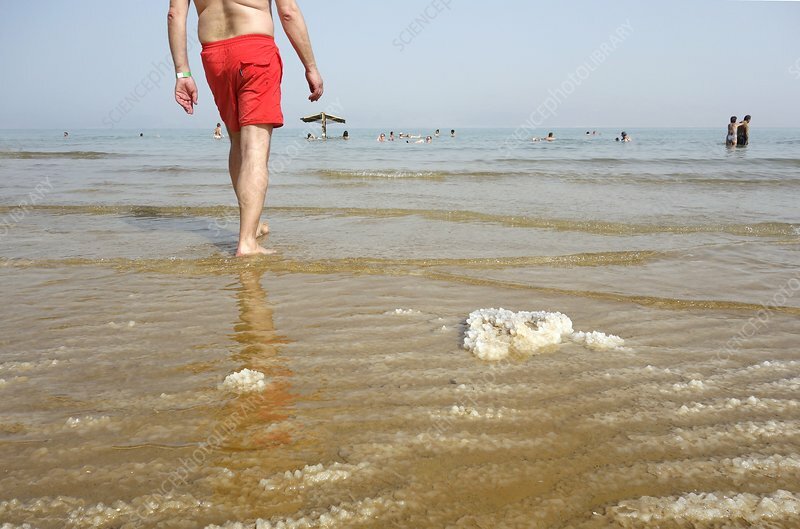 Bathers and salt deposits on the shore of the Dead Sea, Israel. The Dead Sea is a salt lake bordered by Jordan, the West Bank and Israel. At around 34 percent salinity, it is one of the saltiest bodies of water on Earth, making it easy to float in. At 418 metres below sea level it is also the lowest point on Earth.